Heather Wilde is a world-class speaker with over 20 years of experience engaging with the world’s best leaders on how to improve their communication, their organization, and their execution. She is multiple award-winning, 6-time CTO and certified Executive Coach. She is an Author, Speaker, Nonprofit Director, and University Board Chair. Affiliated with 3 Entrepreneurial accelerators, she has also worked with governments on Economic Development projects for over 20 years. All of Heather’s programs are highly interactive, multi-media presentations that engage your people and create instant buy-in to her concepts. Her approach to preparing for your event ensures a message that is tailored for your group every time. 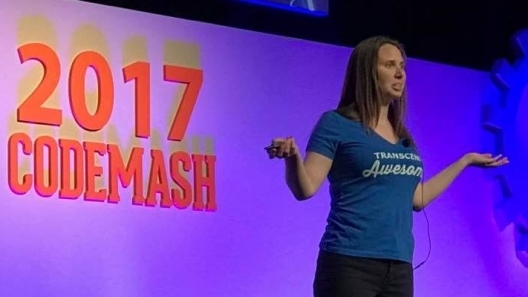 Heather’s varied background as a female executive in the gaming industry, aviation, healthcare and education combined with her success as a serial entrepreneur makes her message interesting, entertaining and relatable to any audience. At the end of her presentations, attendees will walk out the door energized, motivated, and equipped with simple, actionable tools that they can immediately integrate into their lives and your business.